Click this link for reviews and more. League of Fans is a sports reform project to encourage social & civic responsibility. So many kids are passionate about sports, and I like tapping into that passion to show them how much fun reading can be. 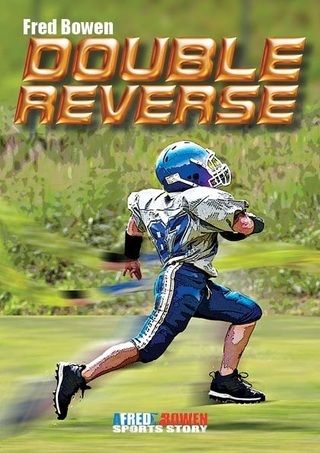 I have a sports-fiction series (Peachtree Publishers) for boys and girls (ages 8-12). I also have a picture-book biography of Red Sox legend Ted Williams titled "No Easy Way" (Dutton Children's Books). In addition to my books, I write the Thursday sports column for kids in "The Washington Post. "My books are available in hardback, paperback and as E-books. I would like to give a shoutout to Open Road Integrated Media who produces the E-books of my series, and also created this 2-minute video. Like the children in the video, I loved playing sports when I was a kid. My best childhood memories are from playing Little League in the park and basketball on the playground. I can still remember homeruns, bad calls, and great comebacks from those games. My favorite reading back then was sports fiction and the sports section in the newspaper. Many of today's kids are as sports-crazy as I was. And I am thinking about them as I write my books and my columns. One of the cool things about writing books is getting to talk about them. I have been a guest author at lots of schools and conferences, and I have met a lot of interesting kids, parents, and educators. I invite you to click around my website. If you have questions or comments, be in touch. "Bowen’s Sports Story series, while often overlooked, regularly offers stories that are engaging, action-packed, and a great next step for struggling readers ready to move beyond the usual high-lo offerings available to them. This quick, satisfying installment is no different and should find easy appeal among reluctant readers looking for novels about athletes." "The books in the "Fred Bowen Sports Story" series are fast-paced, and at just over 100 pages, they're perfect for reluctant readers.... Young readers will devour these stories, along with their painless lessons, and still have time to join their friends for games." "Bowen's stories move along briskly with rapid-fire action sequences and end with surprising twists." On "Hardcourt Comeback": "This entry in the Fred Bowen Sports Story series is flush with life lessons about perseverance, dedication, and picking oneself up after a hard knock, not to mention loads of on-court action. It reads like a successful drive to the hoop—quick, purposeful, and effective." "Bowen shares a wonderful trait with that other great sports writer for kids Mike Lupica; they are both sports journalists. 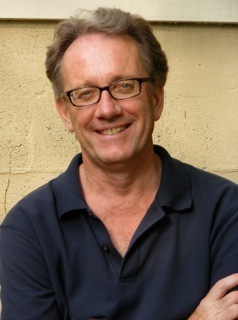 Bowen writes a sports column for kids in "The Washington Post," and the spare, action-orientated writing of the sports journalist draws boys. It also helps that he knows his stuff. Bowen writes sports stories, not novels with a little sports." "Fred Bowen never disappoints. His many action-packed novels speak to the hearts and minds of young sports lovers, and he demonstrates know-how and grace in writing about baseball, basketball, soccer and football." —Mary Quattlebaum, "Washington Parent Magazine"